Make skills, and friends, hands on! Don't be spooked by stitching and join our Embroidery CraftJam. Learn the basic embroidery stitches and make some awesome wall art. In our beginner-friendly class we’ll give you a rundown on the basics of this classic craft. how to create essential embroidery stitches, such as the running stitch, back stitch and chain stitch. We’ve got everything you need right here, including a colorful selection of threads and supplies. We have also a selection on beginner friendly embroidery patterns! BYOB! Crafting is made better with a good drink in hand. Start stitching! 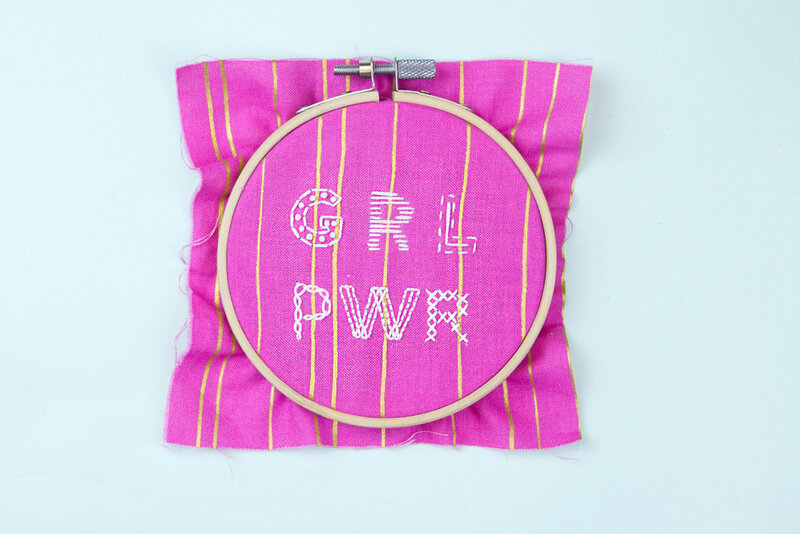 Learn the basic embroidery stitches and make some awesome wall art. In our beginner-friendly class we’ll give you a rundown on the basics of this classic craft. 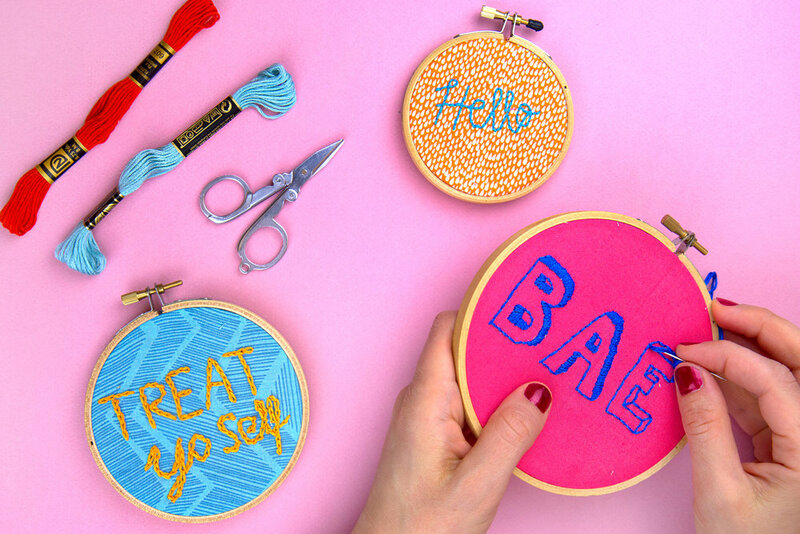 Take your basic tee to the next level with one of our favorite crafty skills: embroidery. Over two hours you’ll learn a few universal embroidery techniques plus how to apply cool designs to your tees to create your own unique, totally on-trend look! 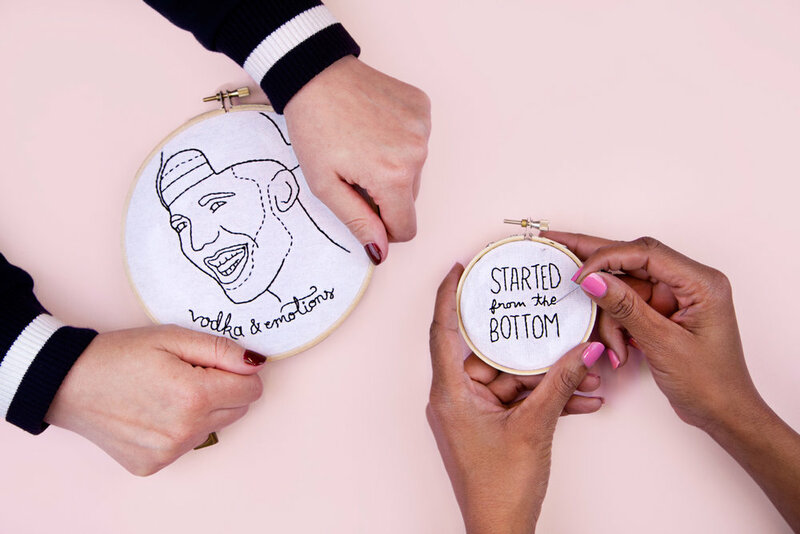 Whether you’re just starting out on your first Backstitch or French Knot; you’re well on your way to mastering the Picot Stitch, or killing it with your Basket Weave Tent Stitch, grab your hoop, some fabric or canvas, thread, and needles for a fun evening of casual, no-stress stitching! MAKE SKILLS, AND FRIENDS, HANDS ON. We’re a fun-loving, beginner-welcoming, and BYOB-friendly team of teachers hosting dozens of different hands on workshops. Come find your jam with us! Check out our past newsletters here.